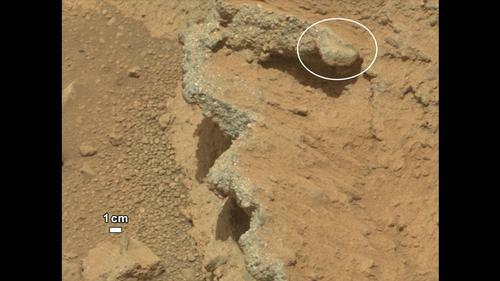 NASA's Curiosity rover found evidence for an ancient, flowing stream on Mars at a few sites, including the rock outcrop pictured here, which the science team has named "Hottah" after Hottah Lake in Canada's Northwest Territories. 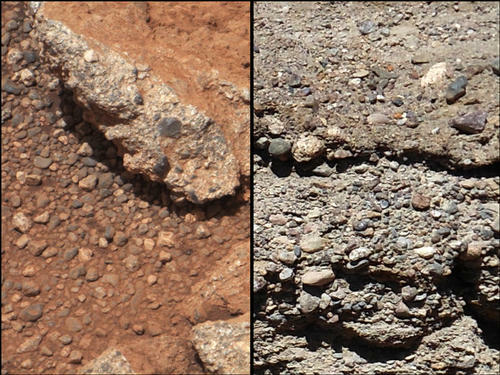 This set of images compares the Link outcrop of rocks on Mars (left) with similar rocks seen on Earth (right). 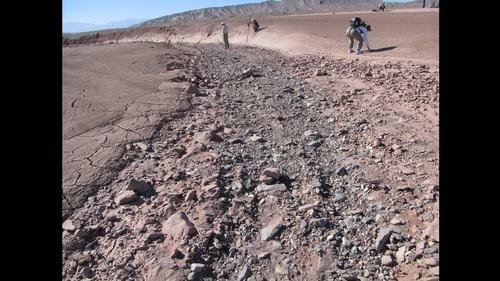 This image shows a dry streambed on an alluvial fan in the Atacama Desert, Chile, revealing the typical patchy, heterogeneous mixture of grain sizes deposited together. For more about Curiosity, visit: http://www.nasa.gov/msl and http://mars.jpl.nasa.gov/msl .